Keeping your business on the map is just as important as making it look like a welcoming, encouraging environment. One way to do this is to add color to your perimeter and property. Another is to attract attention with large and eye-catching structures, such as feather flags blowing around in the breeze and marking your building. 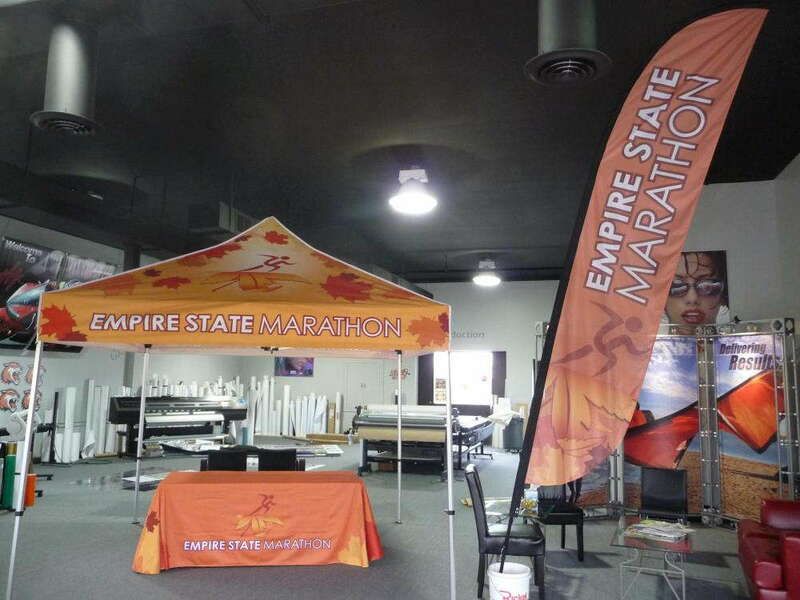 Many places of business already effectively display custom flags to brand themselves and become more noticeable. You’ll see flags around car dealerships and business buildings as well as parks and public community spaces. Each flag always has an image or message attached, making sure you as a viewer know who or what it’s promoting or supporting. If your business or organization is located within the counties of Anoka, Hennepin or Ramsey, SpeedPro Imaging North Metro has the tools, skills and knowledge to brand your business and keep you on the map. Reach out to our team today, and we’ll begin discussing the needs of your company. Displaying custom feather flags outside can attract business while giving your brand full visibility within your local community. SpeedPro Imaging North Metro uses a variety of fade-resistant inks and bold, vivid materials to make all of our large-format graphics come to life. We put your brand and image boldly on display to make you as visible as you need to be within your place of business. 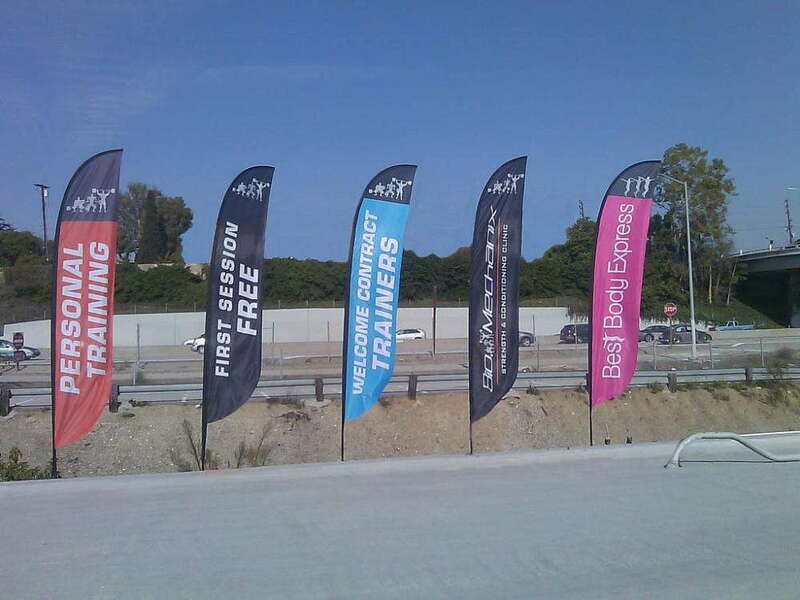 Blade and teardrop flags are perfect for sitting along the side of a road, while feather and flutter flags tend to attract the most attention sitting up at a higher level, such as on top of a building’s roof or pole. You won’t have to stress, however, about being unable to read the side of each flag. Instead of merely flapping in the wind, these custom branded products are designed to rotate with the wind, ensuring visibility and readability at all angles and perspectives. 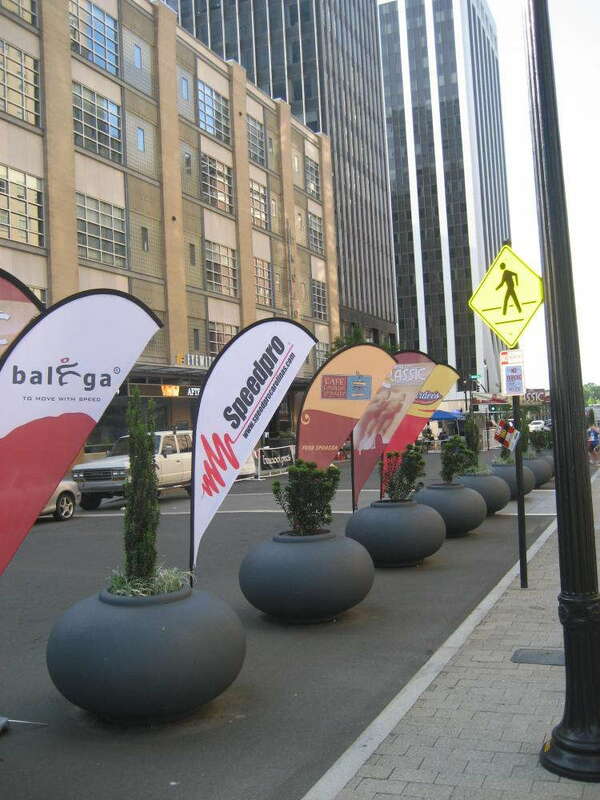 In addition to multiple types of flags, SpeedPro Imaging North Metro also provides a number of flag stands and display features. Whether you want to keep an array of numerous flags in a circle or have a few smaller ones for sitting alongside a table display, we’ve got you covered. In fact, many of our stands feature an adjustable height fixture, allowing you to control the height of your materials in response to weather and other design elements. 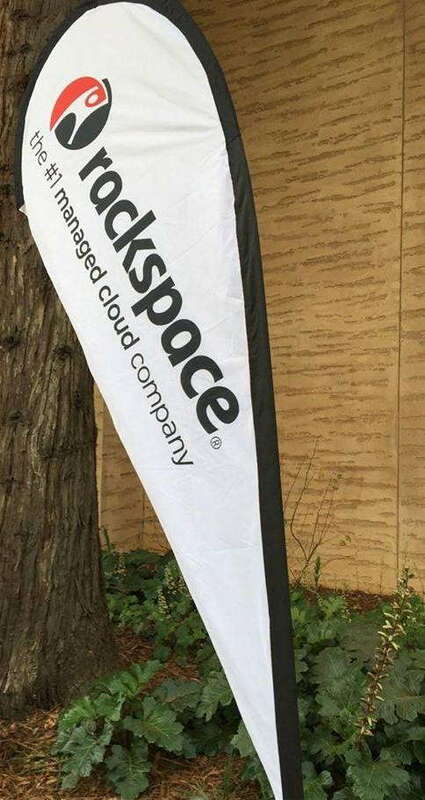 Whether you’re looking for a dozen flags or a singular piece, our studio located in Fridley is ready to meet with you to understand your business needs and feature your brand to the fullest extent. Contact us today to begin the consultation process and start the new design of your business building.